The process of Atherosclerosis has no symptoms. One reason there may be no warning signs is that sometimes when a coronary artery becomes narrowed, other nearby vessels that also bring blood to the heart sometimes expand to help compensate. The network of expanded vessels is called collateral circulation and helps protect some people from heart attacks by getting needed blood to the heart. Collateral circulation can also develop after a heart attack to help the heart muscle recover. Acute Coronary Syndrome (ACS) – An umbrella term for situations where the blood supplied to the heart muscle is suddenly blocked. STEMI – A common name for ST-elevation myocardial infarction, a type of heart attack caused by a complete blockage in a coronary artery. NSTEMI – A non-ST-elevated myocardial infarction, a type of heart attack in which an artery is partially blocked and severely reducing blood flow. 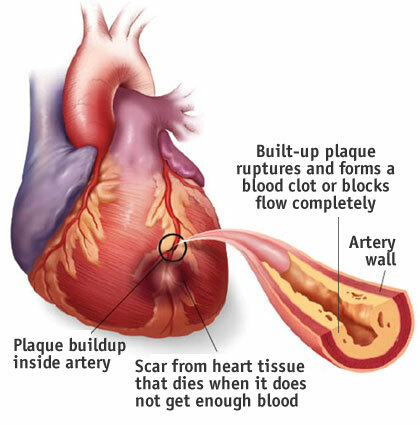 Myocardial infarction – The damaging or death of an area of the heart muscle (myocardium) resulting from a blocked blood supply to that area; medical term for a heart attack. Coronary thrombosis – Formation of a clot in one of the arteries that conduct blood to the heart muscle. Also called coronary occlusion. Coronary occlusion – An obstruction of a coronary artery that hinders blood flow to some part of the heart muscle. A cause of heart attack. If at anytime you suspect you, or someone you know, is having a heart attack, call 911 immediately! 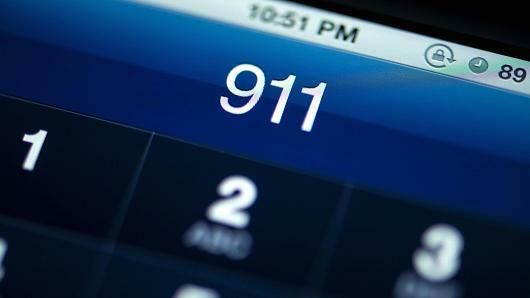 If you are in the City of Waynesboro, the Emergency Medical Dispatcher will give you instructions on what to do next until an ambulance arrives.